Honoring the electrifying "Voodoo Chile" who popularized the Stratocaster guitar and its tremendous sonic flexibility, the Jimi Hendrix Stratocaster gives you the same fiery tone and playing feel to wield as your own. 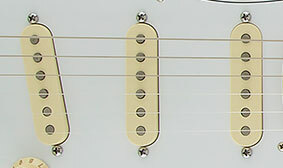 Weight (Instrument Only): 7 lbs, 12 oz. 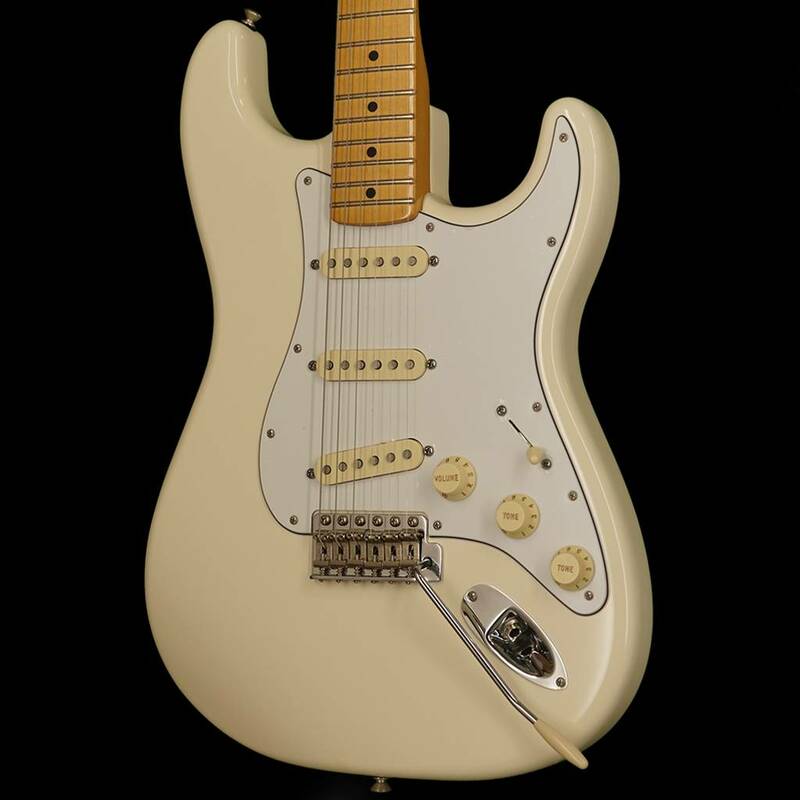 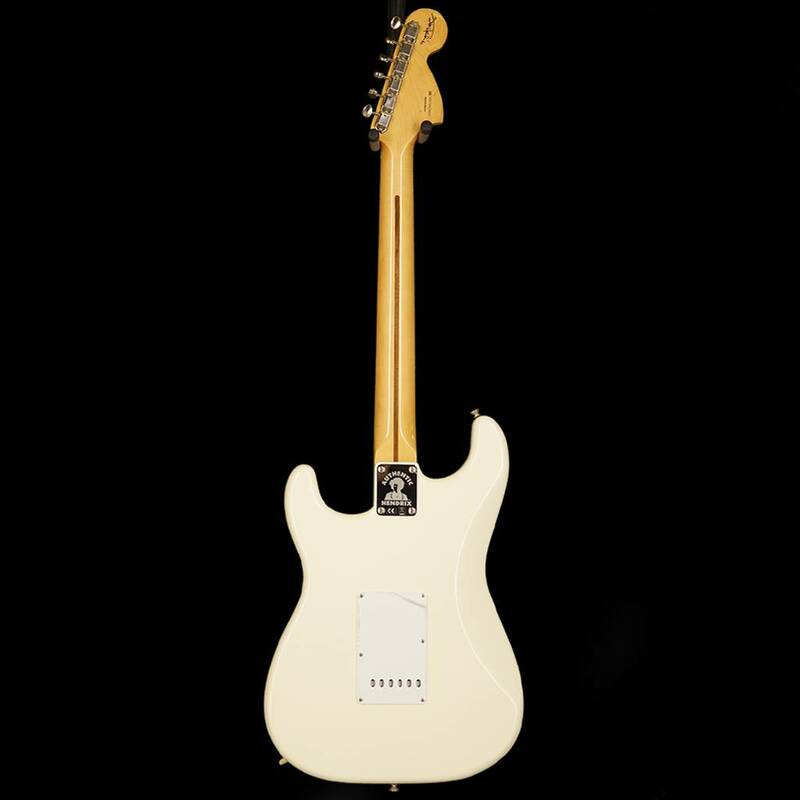 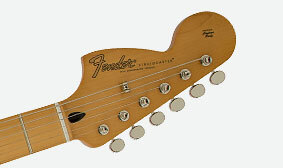 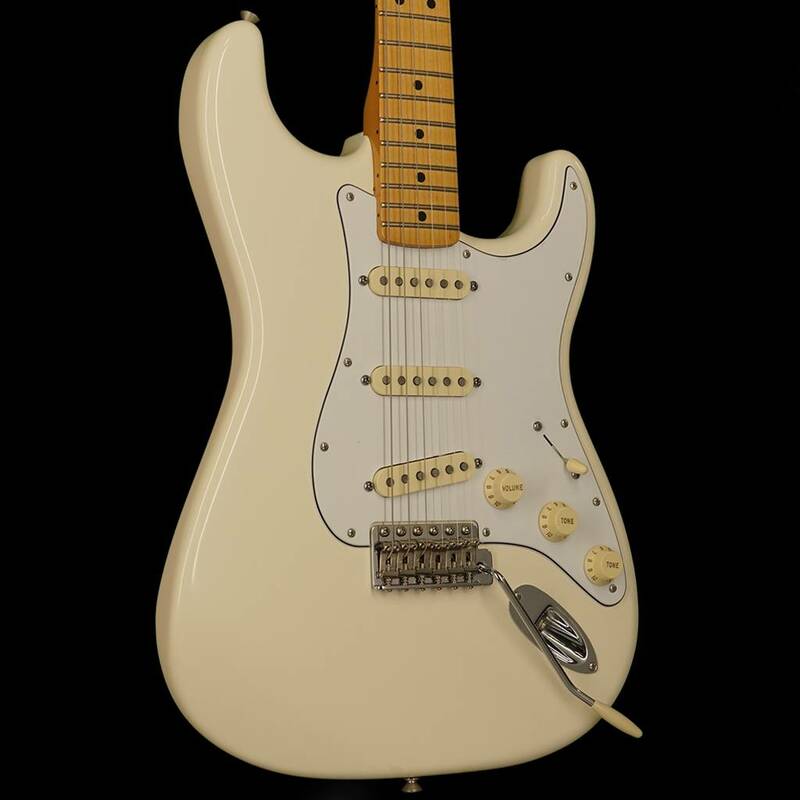 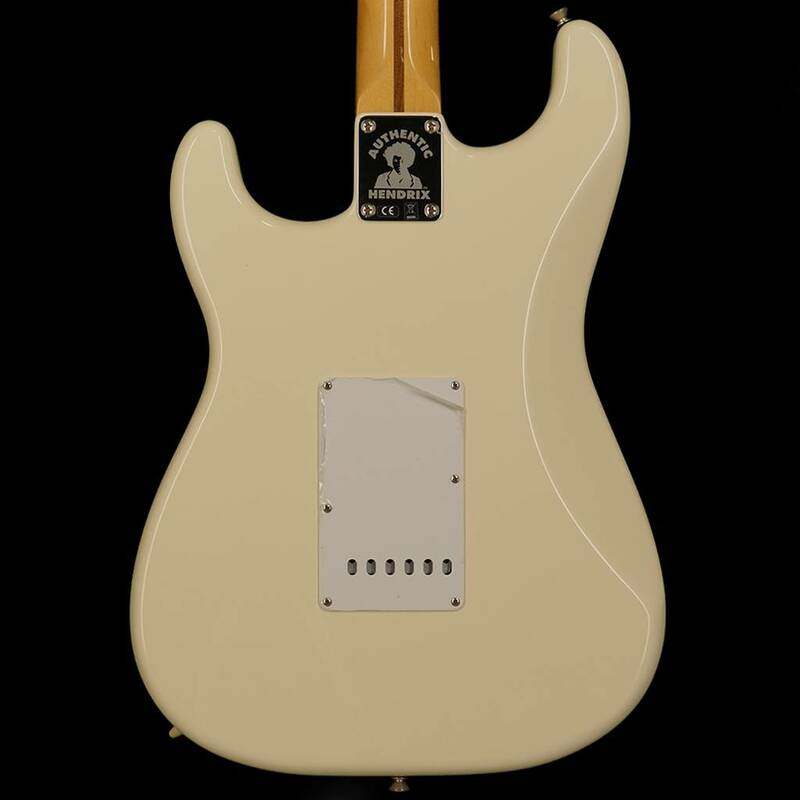 The foundation of Hendrix's uniquely personal sound and playing style was his habit of flipping his guitars over and restringing them to accommodate his left-handed playing, resulting in a "reverse" headstock and bridge pickup-features reproduced here in exacting detail. 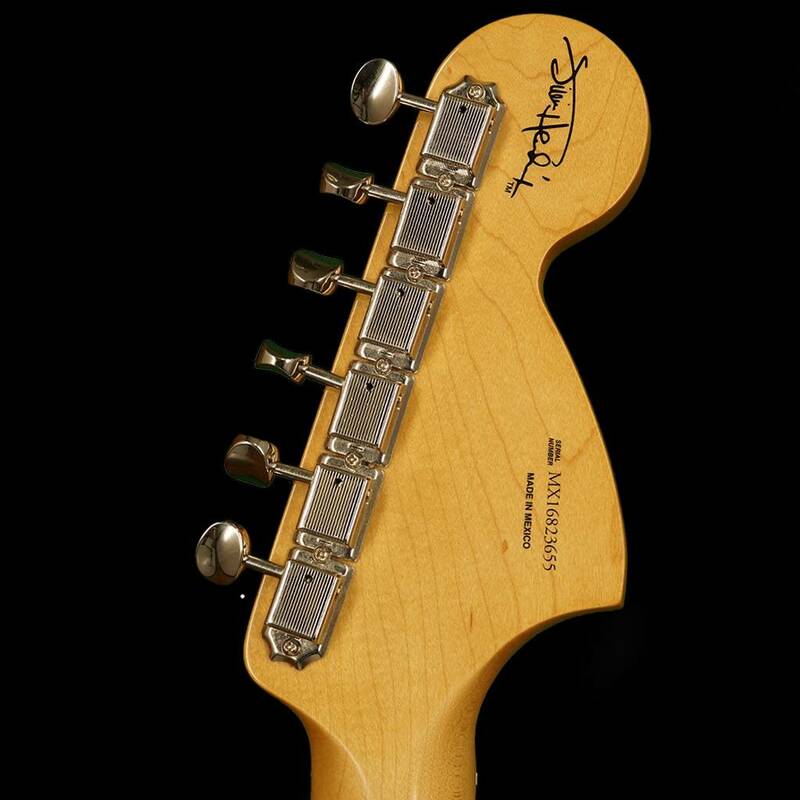 The "reverse" headstock produces a longer string length for the bass strings, creating a tighter playing feel along with easier bending and vibrato on the treble strings. 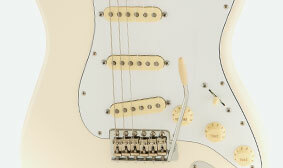 A trio of unsurpassed American Vintage '65 single-coil pickups includes a reverse-slant bridge pickup, producing uniquely inspiring tone with tight, warm sound and enhanced upper harmonics and definition. 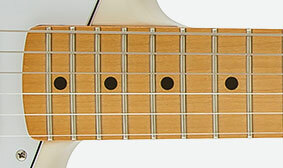 The highly versatile 9.5"-radius "C"-shaped maple neck with medium jumbo frets offers a flatter playing surface-ideal for chording while simultaneously allowing you to bend notes to the stratosphere during scorching solos. 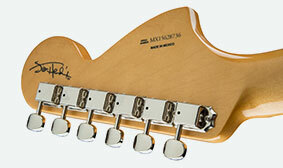 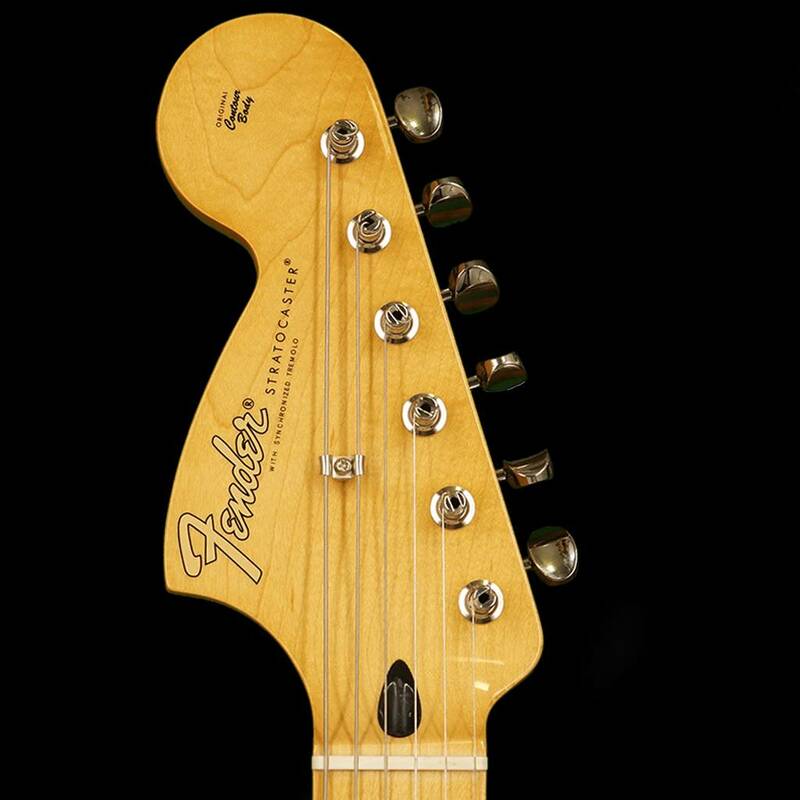 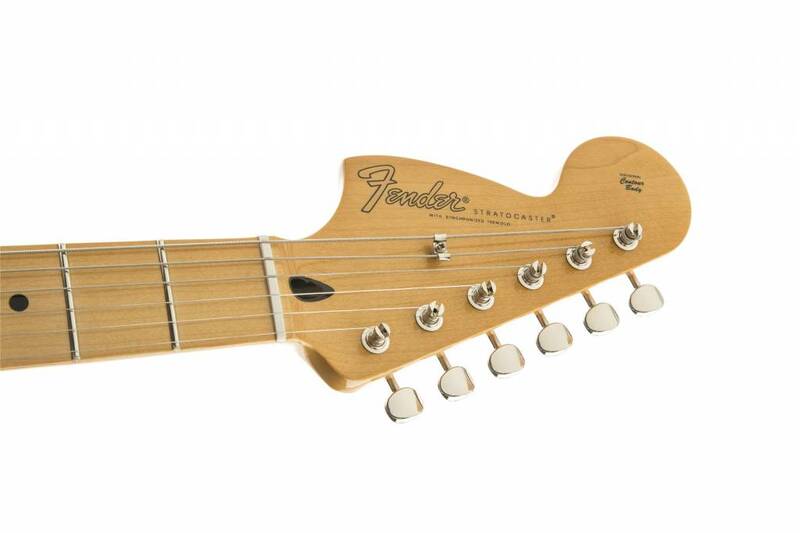 Commemorating Hendrix's unrivaled legacy, the large '70s-style headstock bears the guitarist's signature on the rear. 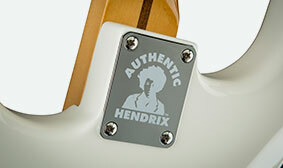 A unique neck plate displays a shoulders-up silhouette of the man himself and the engraved inscription, "Authentic Hendrix," leaving no doubt as to the inspiration behind this guitar. 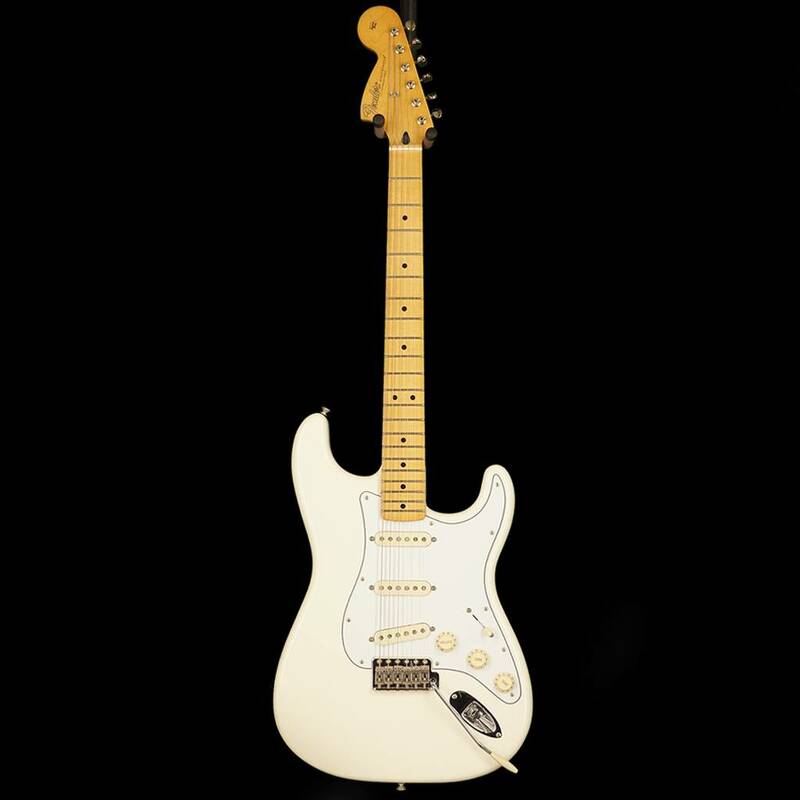 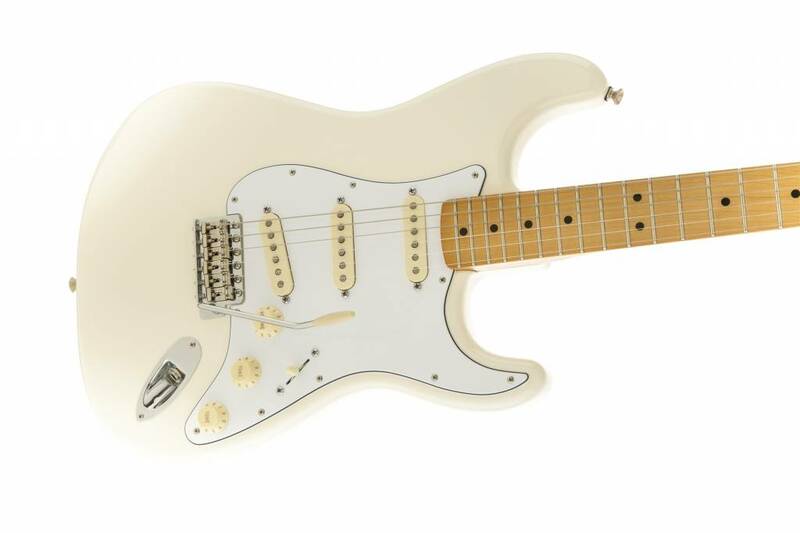 Available in classic Olympic White or Black, both with chrome hardware and including a gig bag, the Jimi Hendrix Stratocaster is your chance to unleash your own "electric sky church" music.